Looks very nice, and functions as it should. Looked at many before deciding on this one, and the value and look for the price was why I purchased it over others I had looked at. My client is very happy with the finished product!! This Highpoint Collection drain has an oil rubbed bronze finished with a light brushing. 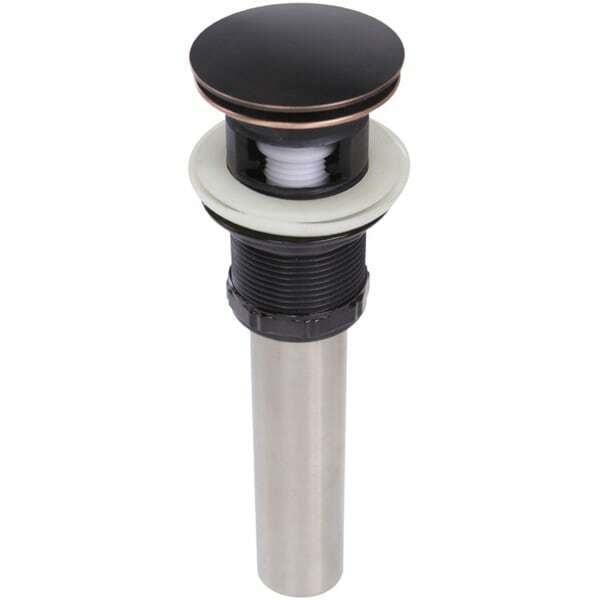 A classic umbrella drain, it is designed to work with bathroom sinks that t have an overflow hole. The reliable solid brass construction with its rich oil rubbed bronze finish are perfect update or accompaniment to your vanity's sink.